We create innovative mobile apps for Apple iOS (iPhone & iPad) and Android devices. We are a team of digital creatives who love to produce original and enjoyable apps. As a team, we can take responsibility for the complete lifecycle of a project. The main phases of app development include Planning, User Experience & Interface Design, Content Creation, Development, Testing and Deployment. Our broad range of in-house expertise allows us to deliver a fully vertical solution, and we can work closely with you to see your project come to fruition. We have a particular expertise in creating rich multi-media experiences. 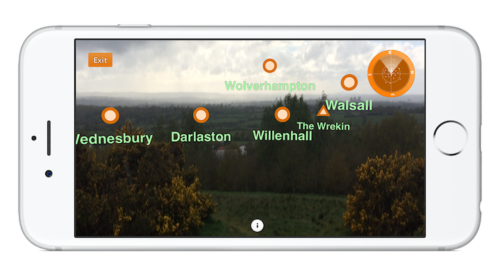 From interactive maps to 3D modelling and animation, we can create immersive experiences that will engage your users and set your app apart. Modern mobile devices are so much more than small-screen computers, with sensors such as GPS, accellerometer, compass, camera, microphone & more, combined with access to internet and a wealth of web services and social media, they are highly contextually-aware. This can lead to some innovative uses, many applications today only scratch the surface of what is possible. We can help your app take best advantage of these features, and stand out from the crowd. If you need an app taking from concept to reality, our team can work alongside you to bring your app to life. Get in touch with us today for a no-obligation chat about your needs.